At the age of 18 months (in Jan ’05), Christian was diagnosed with a very rare cancer (approx 15 children a year world wide) called Clear Cell Sarcoma of the Kidney (CCSK). He underwent 5 ½ hours of surgery to remove the tumour and kidney and we were told he had Stage II. He then underwent 8 months of chemotherapy during which time he was often ill and spent a lot of time in our local hospital. However he finished his chemo on Sept 30th 2005 and spent most of 2006 doing what most normal 2 year olds do – attending nursery, making lots of friends and playing. However, in the summer I noticed that he seemed to tire quite quickly, and he was starting to wake in the night complaining of a sore knee. At his 3 monthly check in August I mentioned this to his consultant who was a bit worried as CCSK tends to spread to the bone. She examined his left leg but couldn’t find any swelling. We decided to wait until his next check in November. In between the two appointments his night waking increased, and I did phone the hospital to let them know, but the messages didn’t get passed on, as I was to find out later. Whilst everyone told me how well Christian was looking, I just knew that he wasn’t right. At our next check up in November it was decided that he should be booked in for an MRI scan. The results showed that there was an increased area of activity on his left femur. Whilst they were 99% sure that it was the same cancer that had come back, they were reluctant to start chemo until this was confirmed with a biopsy. We trekked to the specialist bone hospital in Stanmore for the biopsy, and a week later were told that they didn’t get enough sample and that we would need to go back – this time for an incision biopsy (as opposed to the needle one).This could not be done for another week, and then we had to wait another week for the results – which were what we had known all along; that the CCSK was back. He has now started an intensive round of chemo (I thought the first time was pretty intensive!) for 15 weeks, followed by a one off really intensive dose whereby he will be so ill he will have to remain in the hospital for anything from 4 weeks upwards. 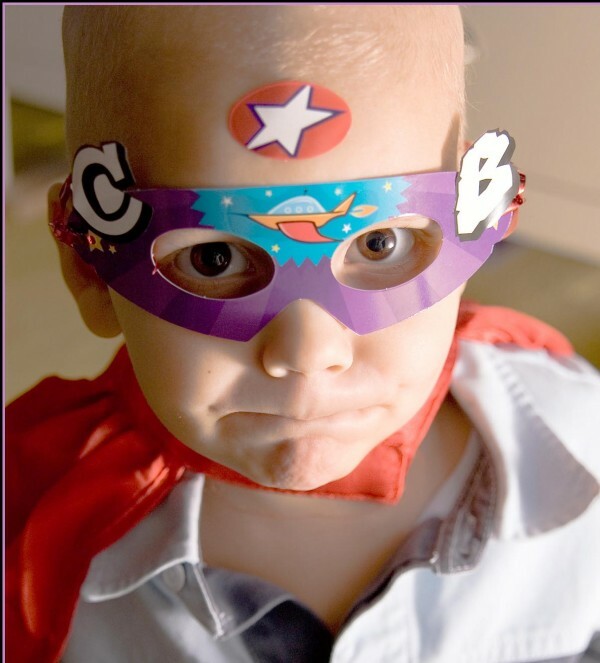 During this time he will receive a stem cell transplant. After this we will have to consider radiotherapy and/or surgery. They have warned us that the odds are stacked against us, but we have absolute faith in the doctors and know that Christian is a true little fighter! At present we are nearly half way through the first lot of chemotherapy. Christian has just had a check up at the hospital and apart from some unexplained tiredness that we are keeping our eye on, he is still in remission, so I feel we should now change his status to moved on. However, I would like to thank each and every person who so kindly sent the boys presents and cards. I will try to send some photos for you. A big thank you to all of Santa’s reindeer – Henry was delighted with their cards! Thanks also to the person who sent Henry some much loved Yu-Gi-Oh cards – I couldn’t read their writing properly for their email address and so have not been able to thank them. Happy New Year to you all – and thank you for helping to make this past 12 months bearable! Christian has been a bit poorly in November, which included a dreaded hospital visit. However, he has since recovered and is thoroughly enjoying school. He has his next big check up in the New Year, and assuming we get the ALL CLEAR I will suggest changing Christian’s status on Post Pals site to Moved On as I feel there are other, more poorly children on the site who deserve the cards, emails and gifts more than us. In the mean time, thank you to everyone who has been sending things our way regularly over the past 11 months. You are all angels. Christian continued to do really well during October, but towards the end he was appearing to look exhausted – even after a week for half term of relaxing and not doing much. He is now quite poorly but I am sure it is just a nasty cough or cold bug that he can’t quite fight. Last week Christian had a bone scan and a CT scan and the results came back today – he is clear of cancer! We’ve got a long way to go and he is still in danger from the treatment (his kidney function, for example, is still not what it should be) but we are obviously very relieved. All is well with us here. Christian recovering nicely and we had a glorious two weeks in Spain at the beginning of July and are going back for the last week of August. We are still not sure if they have managed to get rid of the cancer and will not know until September when he will have an MRI of his leg and a full body bone scan, so fingers crossed. As always thanks to everyone at Post Pals and to everyone who has sent the boys cards and birthday presents too! They have been over the moon with everything. Kate Dee, Katie Plant, and of course the wonderful Jamie – a big thank you! However, since Christian is doing so well at the moment we feel slightly fraudulent accepting such generosity! Christian completed his radiotherapy on 4th July and had his Hickman Line removed on 5th July!! We are all very excited about the summer now and looking forward to going to Spain later this month. Christian can not wait to jump in the swimming pool and run around on the beach. Psychologically he seems to have been quite affected by everything and is having terrible night terrors that can go on for most of the night, or just for 30 minutes. I really hope that when we are in Spain he will start to forget about everything that has happened to him this last year. Physically he seems to be getting stronger every day as his appetite increases. He still wakes up every now and then at night with tummy pain, but that seems to be the end of the mucositis which he got from the High Dose Chemo. Thank you to everyone at Post Pals and to Jamie Harrington, Bambino Baby, Jack, Harry, Charlee and Chris, Cathe Garnett, Chad Freeman, Craig Packham and WWF – and of course anyone I have forgotten as there are still occasions when the boys get to the post before I do! The transplant is over – Hoorah! The month spent in hospital was tough and not without the odd complication but Christian is now at home recovering well. He seems to be doing OK, but is still in pain (especially at night). We have had two weeks at home, off from all chemotherapy and other drugs which has been great. However, we are due back at the hospital to start his daily radiotherapy Thursday 14th June. Poor thing will have to have it under a General Anesthetic every day. Christian has now been in the hospital for one week. He was due to have the Stem Cell Transplant today, but they have decided to hold off until tomorrow morning. This has something to do with his chemo finishing late on Monday evening and they need to have 72 hours between the chemo and the transplant. Once he has the transplant we have been told it can take about 3 weeks for his body to start making blood cells again. In this time we expect him to be quite poorly. However, on a happier note, he has been doing remarkably well with everything so far. He was receiving continuous chemo for 5 days prior to the High Dose and apart from nausea (which was controlled with about 4 different anti-nausea drugs) he has been on pretty good form. He seems genuinely quite happy to stay at the hospital, although we are changing rooms today as our pull out bed has bed bugs!! How disgusting is that!! This isn’t necessarily the hospitals fault as once these little critters get in your bed, you are stuck with them. The hospital said they have had them before and threw out the mattress, but the bugs bury themselves into the wood of the bed too! Oh well, hope they aren’t in the new room! Big thank you’s to the following for their generous gifts and cards etc for both the boys: Helen Brierley, Kate Dee, Julie Barrett, Katie Plant and of course lovely JAMIE!! Not forgetting all of the most wonderful girls at Post Pals. You are all angels. Christian has had a relatively good month with only one local hospital visit for a platelet and HB transfusion. He also managed a morning at nursery before they broke up for the Easter holidays! He was admitted for his last chemo, before the Intensive High Dose and Stem Cell Transplant, on Weds 28/3 and we were due to leave on Friday evening, but he spiked a temperature and came down with a nasty cold. As of today (1/4) he is still there, but is definitely feeling better so we hope to have him home soon. We had some good news this month with the results of his MRI saying that there was no spreading of the cancer, although it is still very obviously in his left femur. He is due to go in for a CT scan of his chest, tummy and pelvis this month and then on approx 26/4 he will be admitted for the Intensive High Dose. They have decided to give him really high doses of two of the chemo’s he has been having over the last 4 months, on a daily basis for one week prior to the Big One. The Stem Cell transplant is due on about May 3rd. We have been told that we will be in hospital for approx 4 – 6 weeks. As always I would like to thank everyone at Post Pals for bringing great big smiles to both Henry and Christian. I would also like to say thank you and send a hug to Katie Plant, Kate Dee, Alison Richards, Helen Brierley and a big thank you hug to Jamie H. Christian also received his beautiful quilt and he loves it! Christian is in hospital at the moment. He was admitted on Wednesday as his Hickman Line site (where it enters the skin) was looking very red and sore and a bit infected. Even though he was neutrepenic (no white blood cells) he didn’t have a temperature and was on quite good form so we were hoping to come home yesterday (Thursday) evening. However, towards the end of the day, the biopsy scar on his leg started to get red and swollen and he spiked a temperature so he has stayed in again. My husband and I, and about 100 of our friends, are due to run in a 10k race this weekend in aid of our local hospital. We have so far raised about £65,000! Fingers crossed that we will make it!! As always, a big thank you to Jamie H (Christian’s new best pal!) Kate Dee, Angie, Leanne & Bailey, Angela and all at Post Pals. I am sorry if I have missed anyone off but yet again I don’t always get to the post before the kids! Please don’t stop sending your cards and gifts – they always brighten our day. Christian has been in and out of hospital since he started treatment – mainly due to his blood count being so low he can’t fight infections. He was admitted into our local hospital for 5 days recently and on top of all the various different intravenous antibiotics and other chemicals being pumped into him he received two blood transfusions. We are due back at hospital next week for 3 days of chemo as an in patient. Only two more of this round left – then the Big One. Thank you from all of us to all the lovely people who have been sending cards, letters, emails and gifts. Christian has received many cards, letters and little packages – the problem is he and his brother are always in such an excited hurry when they see them that they open it all up before I get there and so I unfortunately I don’t always find out who has sent them. The people I do know to thank are, Kate Dee, Helen Brierley, Laura H, Jamie Harrington and the Garnett Family in the States. Please forgive me if I haven’t mentioned your name, I promise to keep a better eye on the post from now on and get to it before anyone else!